Kevin Volland scored twice in the last 14 minutes as Bayer Leverkusen increased Stuttgart's Bundesliga woes with a 2-0 victory at the BayArena. The striker broke the deadlock with 14 minutes remaining, heading in a cross from the impressive Kai Havertz, before doubling the advantage with a left-foot shot in the 83rd minute. 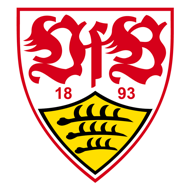 The result lifts Heiko Herrlich's men three places to 10th and leaves Stuttgart rooted to the foot of the table. The home side created all the first-half chances, with Volland shooting over in the seventh minute and Havertz bringing a low save out of Ron-Robert Zieler five minutes later, before Tin Jedvaj fired over following good work by Havertz. 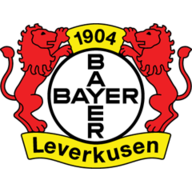 Mario Gomez threatened for the visitors five minutes into the second half, with a powerful left foot shot saved by Leverkusen goalkeeper Lukas Hradecky. Volland shot over an empty net from six yards just before the hour - but he got it right when found by Havertz, and then rounded off the win after a pass from substitute Lucas Alario - who also had a stoppage-time goal ruled out.